This lot features an O.J. 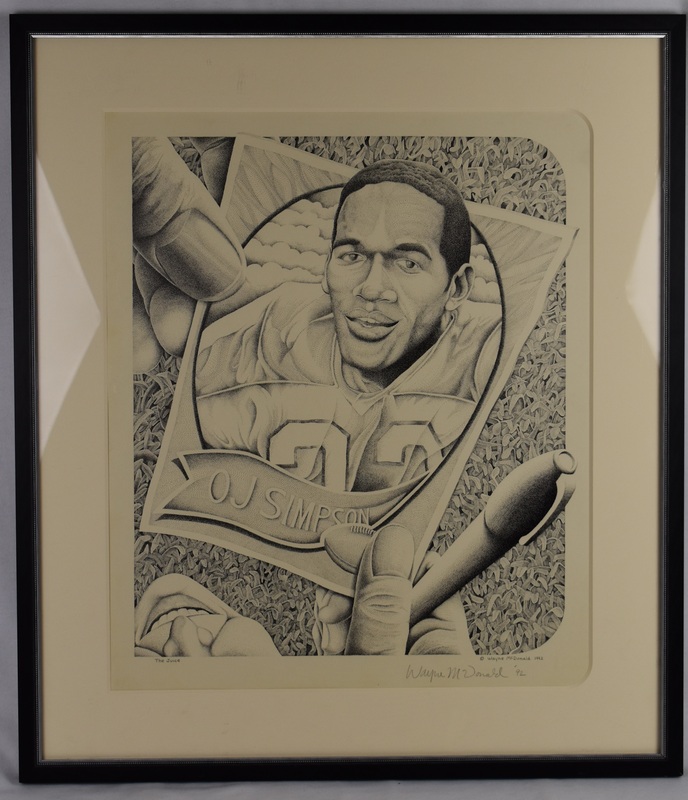 Simpson limited edition framed lithograph created by artist Wayne McDonald in 1992. Signed by McDonald on the lower right corner in pencil.